Morphing from the Queen of Nollywood awards, the Queen of Nollywood reality show is set to premiere on cable service StarTimes. According to the President of the Nollywood Executives and Leadership Awards Frank Ikegwuonu, the show will document unscripted real-life situations with top Nollywood actresses, including unknown cast of individuals who are typically not professionals actors but have basic natural acting skills. The show focuses on drama and cultural entertainment with strict adherence to the African traditions. Twenty women will feature in the talent hunt program, and expected to mimic four of Nollywood’s most outstanding actresses: Mercy Johnson, Patience Ozokwor, Funke Akindele and Queen Nwokoye. 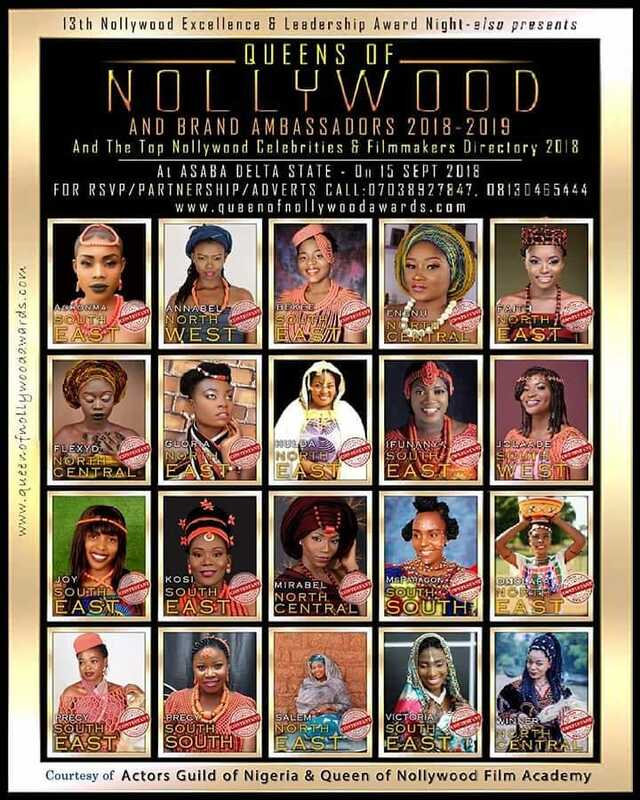 At the end of the show, the winner will be crowned Queen of Nollywood brand ambassador with awards, cash prices, certificates, presentation of a pet project and a one-year film contract. The Queen of Nollywood awards was established to strengthen the influence of African women in film, television and digital media by ensuring that the rich and diverse experiences of their everyday lives are reflected on screen. Initiated by Urbanmingles Magazine Africa, the event debuted in Lagos and resulted from a research project titled Who’s Who in the Nigerian Entertainment Industry. Premiering September 15th, the winner will be announced on the 30th of September in a grand finale at Hotel Rosebud, Abuja.